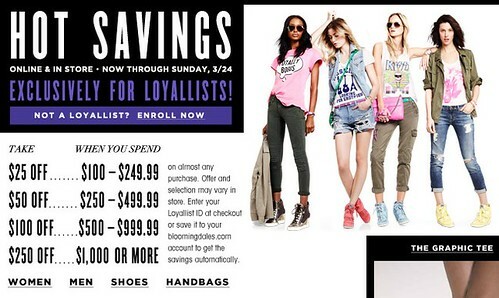 Besides reward card giving event at designer items, there is a store wide BUY MORE SAVE MORE event ongoing at Bloomingdales, here! Club Monaco: Get 20% Off $150, 25% Off $200 & 30% Off $250 + Free Shipping. Ends 03/17/13 Using coupon code: SAVEMORE (here). More sale items are added in the sale section, and the cashmere blend Julie tops are $9 now! Buy more save more is also ongoing at INTERMIX, here! Strongly recommend Rag & Bone the hyde leather jeans (wore here).